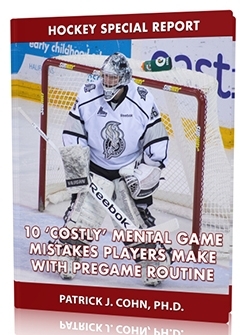 You are here: Home / Hockey Psychology Articles / Is the Lightning “Playing Not To Lose” Games? Are you able to close out games when you have the lead? When you head into the final period of a hockey game, do you maintain the same style of play that secured you the lead, or do you revert to playing defensively? 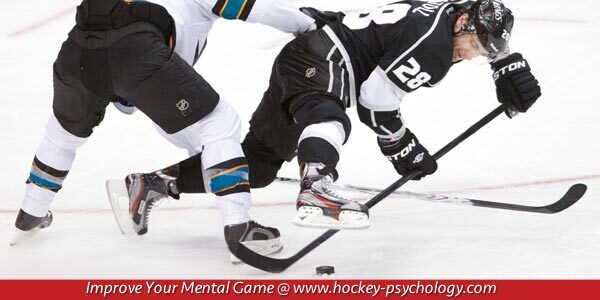 Going for the knockout blow when in the lead is a mindset and hallmark of championship hockey teams and players. Championship teams finish games with the same attacking style that they imposed at the start of the game. Hockey players that play defensively at the end of a game fear losing. The fear of failure increases anxiety and causes players to play make mistakes. Players that “play not to lose,” play tight and back on their heels. They are in reaction mode and allow the other team to dictate the style of play. In most cases, teams and players that “play not to lose” or try to hold on to a lead allow opposing teams back into the game and, often times, fail to secure victory. The Tampa Bay Lightning has just three wins in the past 13 games (3-8-2) and has lost their last five games. With 17 games remaining in the regular season, the Lightning is clinging on to a wild-card spot. Prior to the Olympic break, Tampa Bay was in second place in the Atlantic Division only seven points behind Boston. Currently, Tampa Bay is in fourth place in the Atlantic and 16 points behind the division-leading Bruins. Tampa Bay’s performance skid is not due to slow starts. The Lightning had the lead or was tied heading into the third period in six out of the last seven games. Tampa Bay’s issue is their negative mindset and inability to finish off their opponents, managing to earn only four points in the last seven games. Prior to the Olympic break, the Lightning was 22-3-1 when scoring the first goal. Tampa Bay is 1-3-2 since the break. What’s the strategy that helps you play aggressively and get into the lead. Use your strengths that got you into the lead. Stay aggressive and challenge yourself to make another play or score. Increase your lead instead of protecting it. Focus on one play at a time or the current play. Being in the moment allows you to focus on executing the only play that’s important—the current one. When you are “playing not to lose,” you are focused on the score and the outcome of the game.